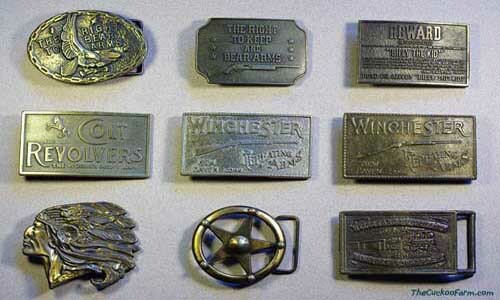 This is a collection of various belt buckles. 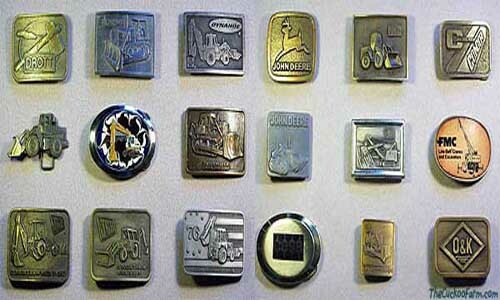 This is a collection of various belt buckles to keep your pants up. 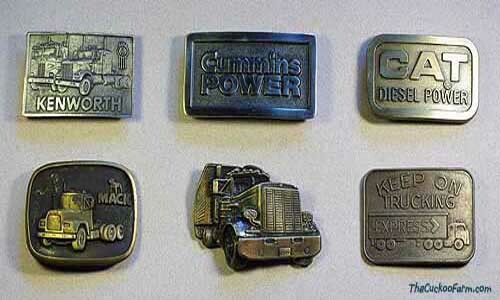 They're broken down into heavy equipment, trucks, Americana, and a few assorted individual pieces. Most of these are from the 1970's and early 80's with a few earlier. 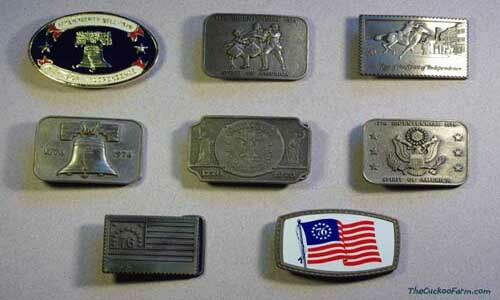 Most are heavy cast metal pieces and a few are enamaled. 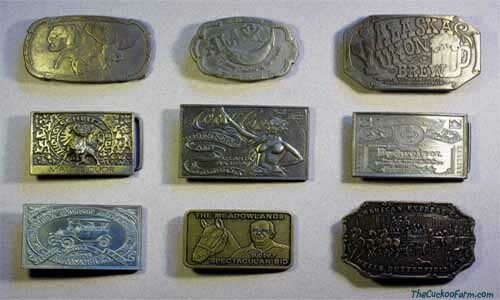 These are from the time of big sideburns, big mustaches and a belt with a width of at least 2"... and CB's!... and bell bottom jeans...and...nevermind.